This is an interesting question, and the answer isn’t as clear cut as you might think. First of all, there are a lot of people out there who went to school for accounting and then did very well without every getting the CPA. Just pulling from my own experience at a medium-sized firm, I’ve seen dozens of people churn in and out of public accounting at all levels; from new staff to partners. Obviously, anyone I’ve known that was a manager and above had their CPA, but from senior and below it’s very mixed. I’ve read several articles on this topic, and they mostly just list a bunch of stats and all come to the same conclusion: that a bigger and bigger percentage of people who initially plan on getting the CPA end up not ever finishing it. 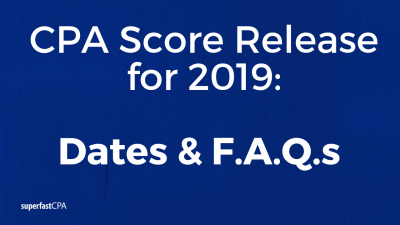 That’s not really a surprise: the CPA exams are extremely difficult, and with fail rates right around 50%… that simply leads to a lot of people never finishing the exams that had previously planned on it. Do you want to stay in public accounting? This one is also simple, if you’re a tax person, you pretty much need your CPA to be taken seriously later in your career. Do you plan to move outside the accounting track? While it is possible to move up in the accounting hierarchy at certain companies without the CPA, you probably won’t become a controller, and you definitely won’t become a CFO without being a CPA. That being said, it’s not unheard of for someone to start in accounting at a company, and at some point move out of accounting and into management. Those roles won’t require a CPA- but they will definitely require other “intangibles”. But, there’s some truth there. There are some people at every firm that would much rather work in Excel all day then talk to clients or attend a bunch of meetings and have to talk to other people. Or the dreaded “business development”. 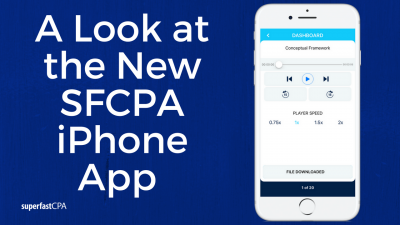 If you can’t imagine having to generate new business or get new clients as part of your job, then you definitely want to get your CPA. If you’re very much a “numbers person” and don’t really thrive in social situations, it would be extra important to get your CPA. But, no matter which type of person you are, the CPA designation can only help no matter what the future opportunity is. 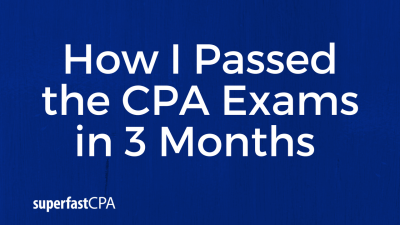 For me personally, there were a few logical points in my mind that drove me to get finish the CPA exams as fast as possible. I had spent several years of school and $40,000+ on a Bachelor’s and Master’s in accounting, so I saw the CPA as the logical end-goal of all that. If someone that’s your equal in years of experience makes an average of $70,000 per year, you’d be around $7,000 higher. That’s a big ROI year in and year out for just a few months of suffering (referring to passing the exams). 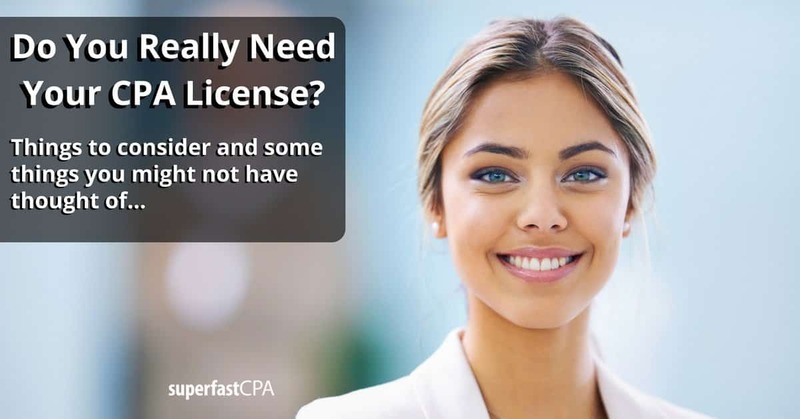 6 replies to "Do You Really Need To Get Your CPA License?" I’m a controller, with no CPA and I’m under 30. I think different industries afford different opportunities. While a CPA definitely affords more potential opportunities, it’s not entirely necessary to get to a CFO position. Of the three CFOs I have worked for, one had a CPA and the other two did not. I’ve worked for one Controller and she was also not a CPA. However, all of them have and MBA. Thanks for the perspective Josh, and very true in a lot of cases. Depends on the company and how management views that whole thing. I think my main point is if someone gets a Master’s in accounting, the whole idea behind doing that is to be able to sit for the CPA exams, and to not give up on it if that’s the case.